I am indeed very sorry and grieved to learn of the passing away of Ms.Haiyan Qian. Please convey my deep condolences to the members of her bereaved family. Haiyan was a wonderful colleague and friend. We went back as for more than a decade since I joined DPADM. We would discuss things laugh and chat together. She brought so many ideas to DPADM’s workings and was always giving in life. I know that Haiyan will continue to participate in the actions and thoughts of DPADM staff. I share comfort in knowing she is no longer suffering. My thoughts and prayers are with her family during this difficult time. We will never forget her. Farewell to a good old colleague. I am deeply shocked! I am deeply shocked with this news. Her smiles and advices have always encouraged me to keep challenging in the public services. My deepest condolence and sympathy to your family. The Bible conveys a message that death is not the end of life; it is only the body that perishes, the spirit can never die … it continues to live. This thought brings a lot of comfort during the time of sorrow. When the heart weeps for the end of a dear one’s life, the mind tells you that this is not the end, but a new beginning of the journey with God. Nonetheless, when grief over death, strikes us, it becomes difficult to be able to think rationally. The fact that we will not be able to speak to the person again, to hold, touch, smile, or even argue with him or her, is enough to make us feel vulnerable and helpless. Life would never be the same without their presence, but it is important to move on, as they too have moved on from this journey of life to the next. I know that no words can help ease the pain and loss that we are feeling right now. You are in our every prayer and thought. DEEPEST CONDOLENCE AND SYMPATHY TO YOUR FAMILY. I was shocked to hear it and still could not believe it. I met several times last year with Ms. Qian and her energy and smile always inspired and encouraged me. I am sure Ms. Qian will be missed by all of her friends and colleagues. On behalf of the National Center for Digital Government, our deepfelt condolences to the family and colleagues of dear Haiyan Qian. I first worked with Haiyan as part the World Economic Forum Global Agenda Council on the Future of Government. She was a superbly professional, probing, positive, and energetic member of our Council. Her knowledge base and experience were remarkable. Her energy was infectious. Such a great loss! She was an inspiration to so many of us who crossed paths with her. We are so saddened by this loss. I am still trying to figure out that this terrible news is true, but my mind seems to reject this thought. I will definitely miss your huge personality, your strong leadership, your great respect of the others and your warm and sincere friendship. As chief of EGB I have had the privilege and the lucky to work closely to you and you have tough me so much during these 3 years, with you daily basis behaviour at professional and personal level and I will never forget your immense generosity, sense of duty and loyalty for your work and for the Organization you have served so well for 33 years. During this long journey you never gave up my dear Haiyan, never, and I will always remember you as the greatest warrior I have never met in my life, despite to your cute and fragile aspect. Please rest in peace my dear Haiyan, you really deserve it. 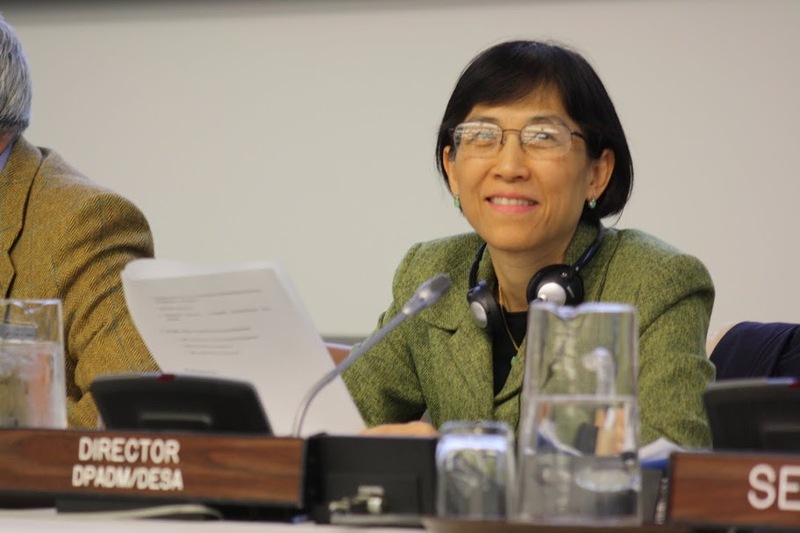 On behalf of Latin American Centre for Development Administration (CLAD), we express our sadness, heartfelt condolences and deepest sympathy for the loss of our beloved friend Mrs. Haiyan Qian. As Chief Manager of the United Nations Public Administration Network (UNPAN), she worked tirelessly on our side since the beginning of CLAD’s participation in this important and collective effort, in order to exchange information and share experiences to contribute with the strengthening and improvement of public administration around the world. Our thoughts are with her family, relatives, friends and loved ones at this difficult time. She will be greatly missed and dearly remembered by many. We hope that her soul rests in peace. As an UNPAN Partner, CLAD will continue with its contributions and collaboration to the Network, honoring the memory of Mrs. Qian.